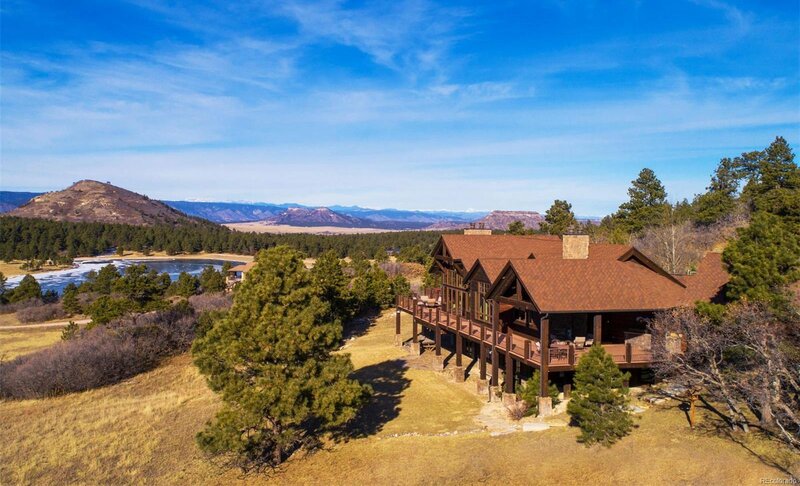 * SPECTACULAR MOUNTAIN VIEWS * GATED COMMUNITY * 35-ACRE ESTATE * WATER SKI LAKEFRONT * 12-MONTH RECREATION * BIG VIEWS - from every room. 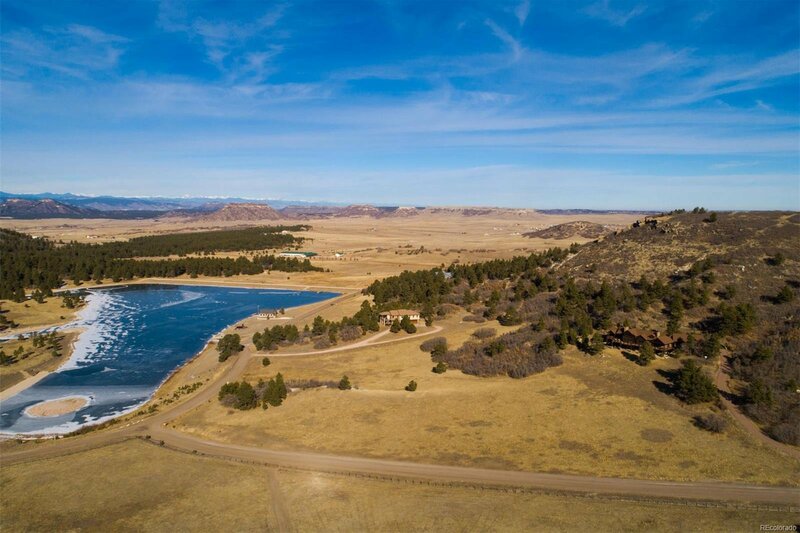 Nestled on a hillside that gently slopes down to the banks of the trout-stocked lake. 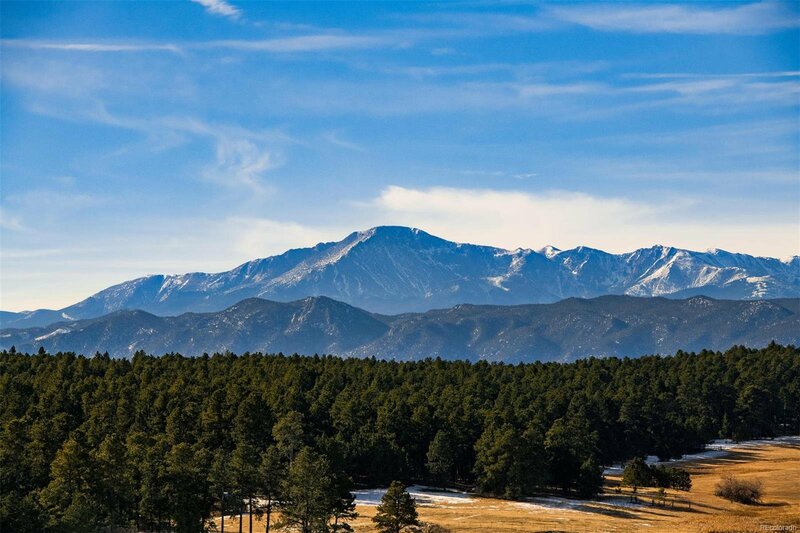 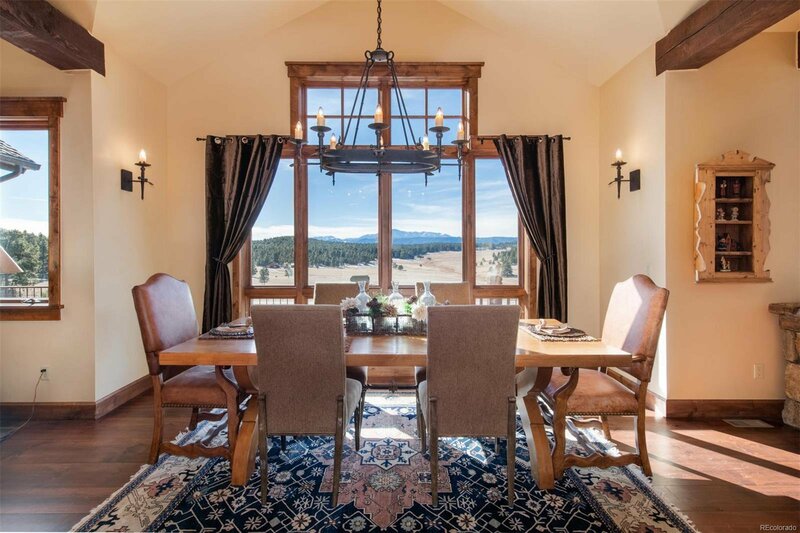 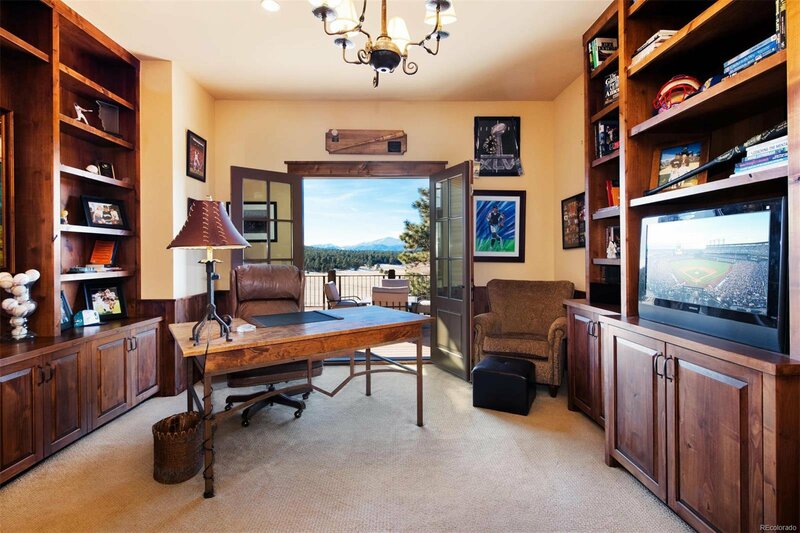 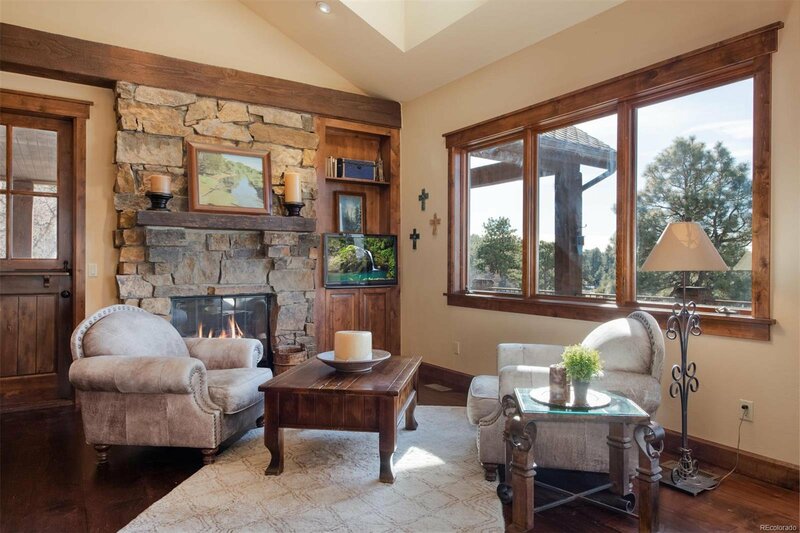 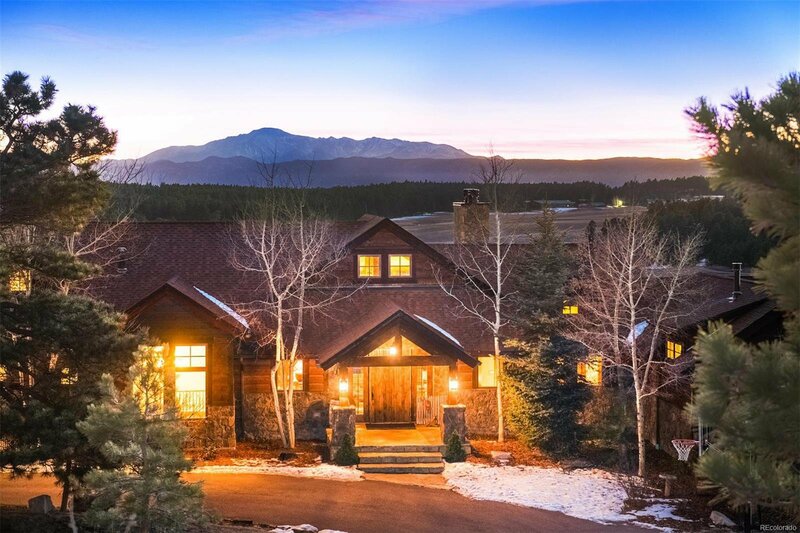 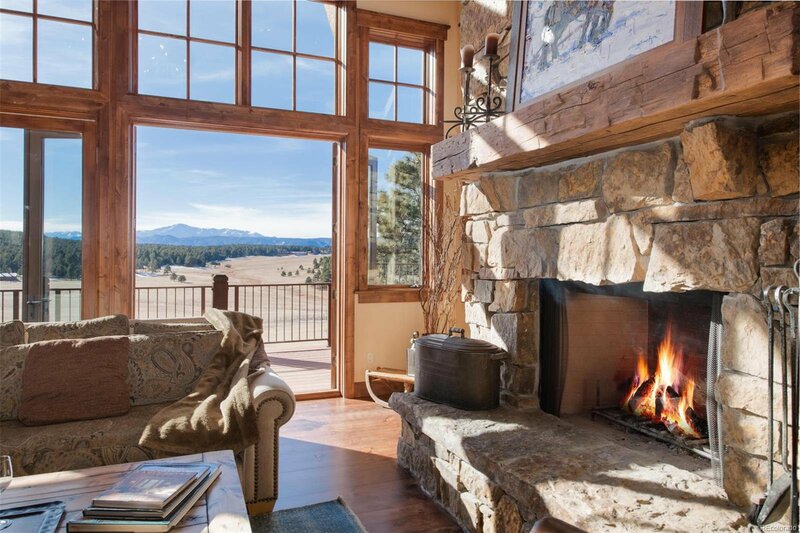 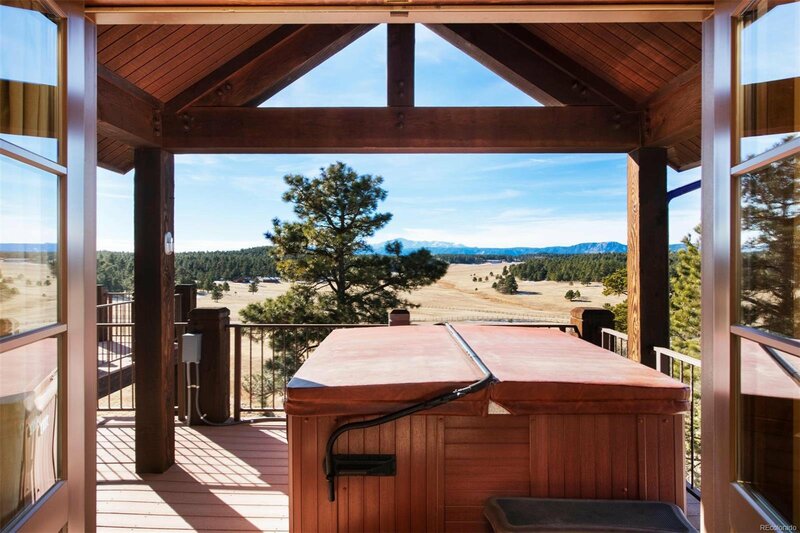 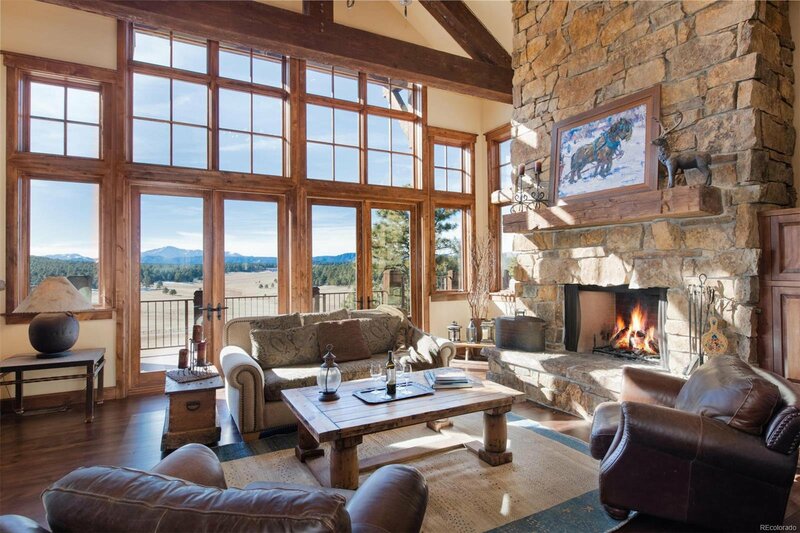 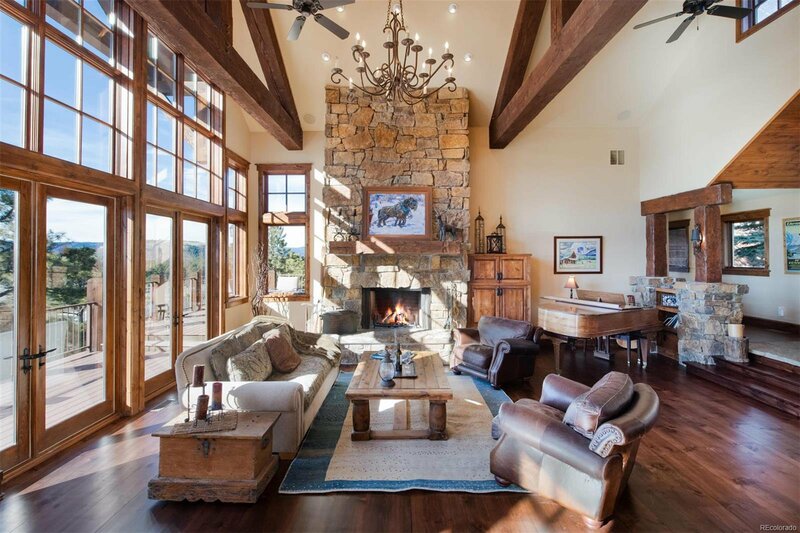 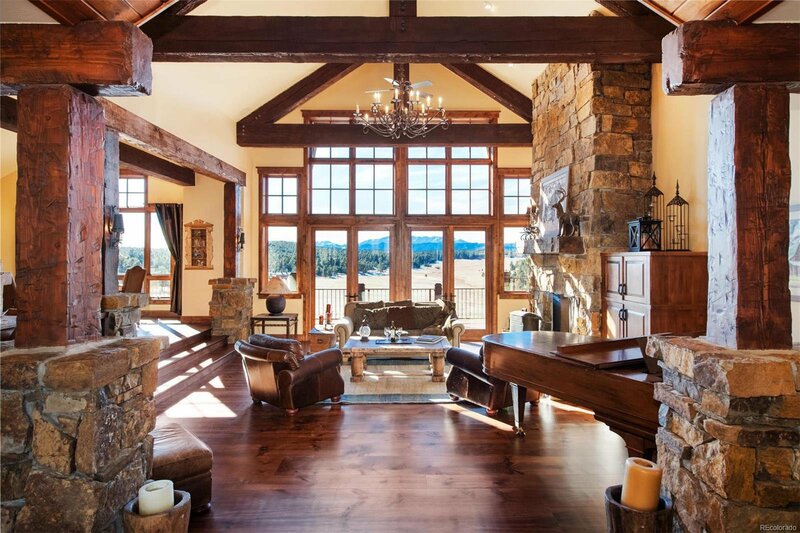 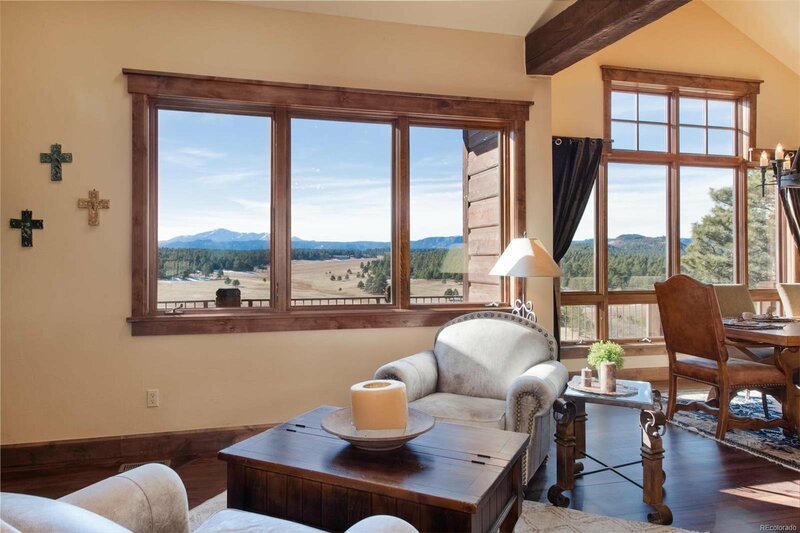 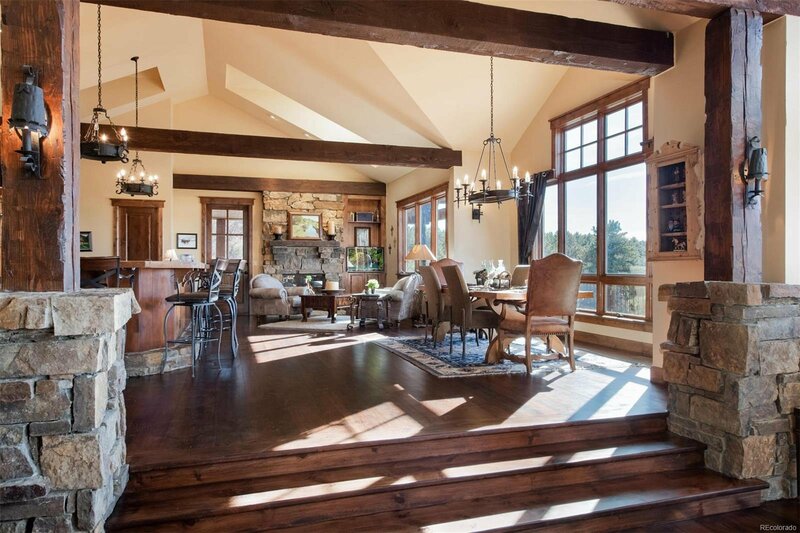 MASTER CRAFTSMANSHIP, high vaulted ceilings, massive hand-hewn beams, and a perfectly framed view of Pikes Peak showcase a Colorado lifestyle. 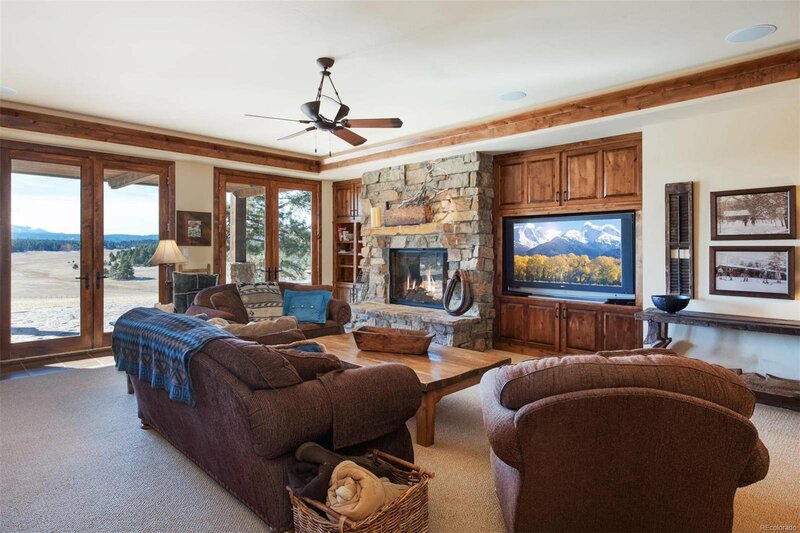 With five bedrooms, five baths, and five fireplaces, the home also offers exquisite main floor living. 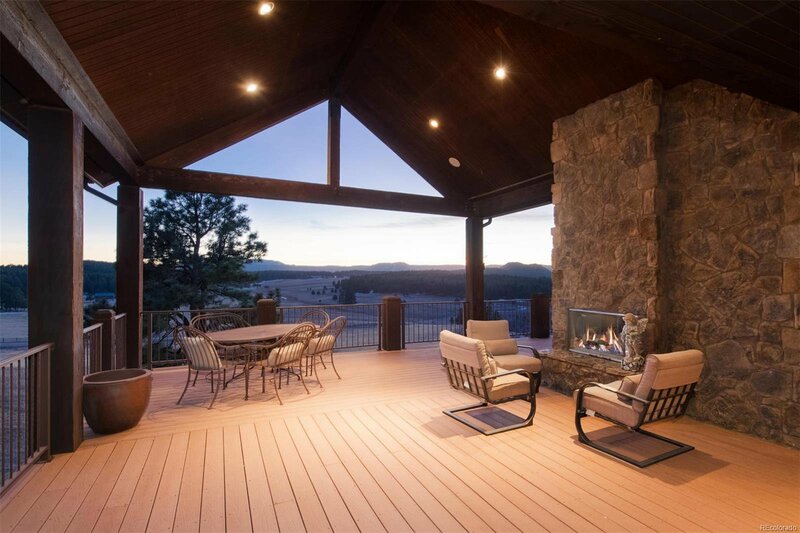 The open floor plan and living areas extend onto the deck and patio to enjoy the outdoors. 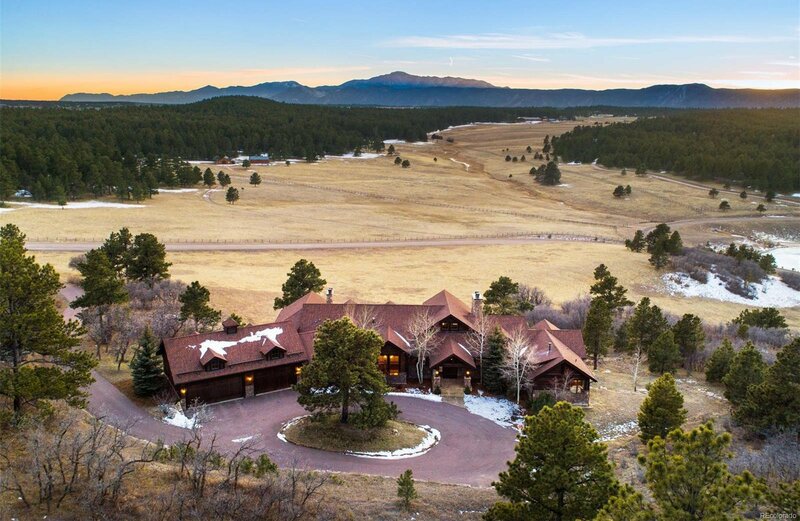 This exclusive gated community has only 12 properties of 35-acre lots. 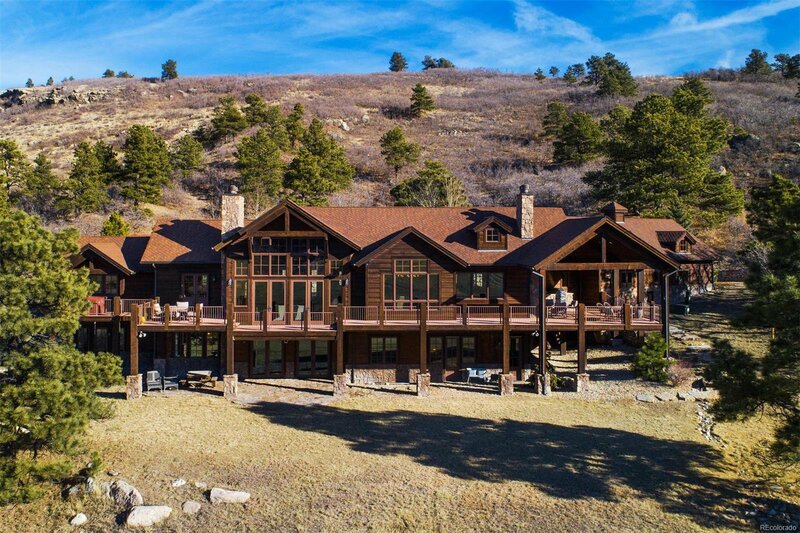 Lifestyle amenities allow for horses, water skiing, kayaking, swimming, paddle board, trout fishing, ice skating, biking or hiking and with a beachfront. 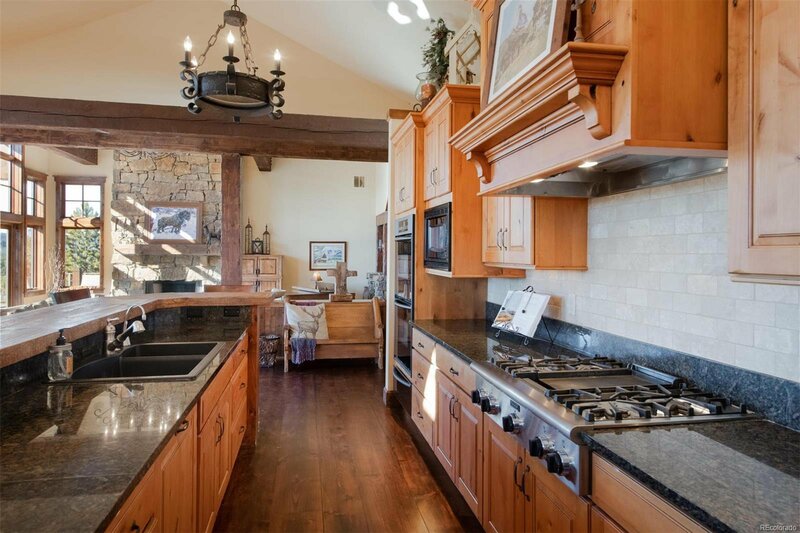 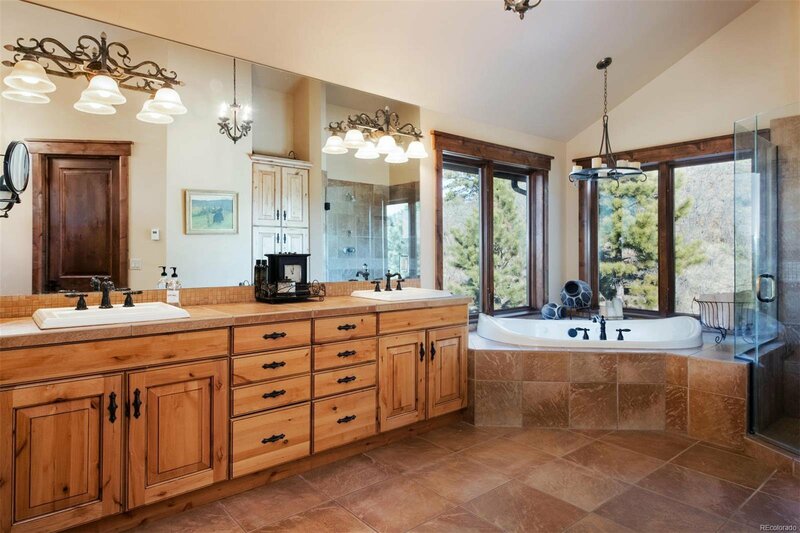 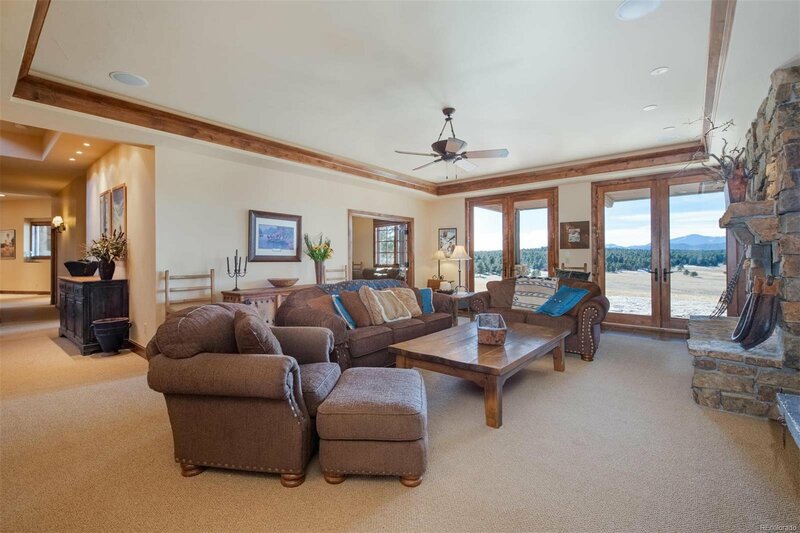 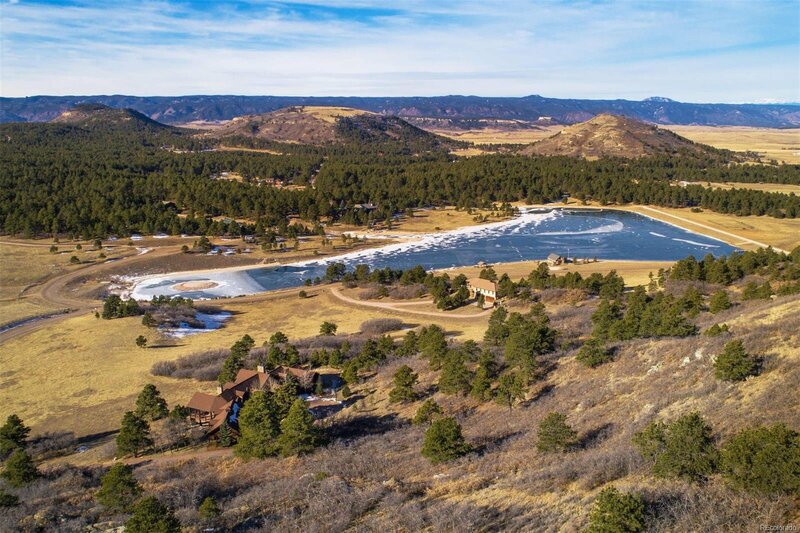 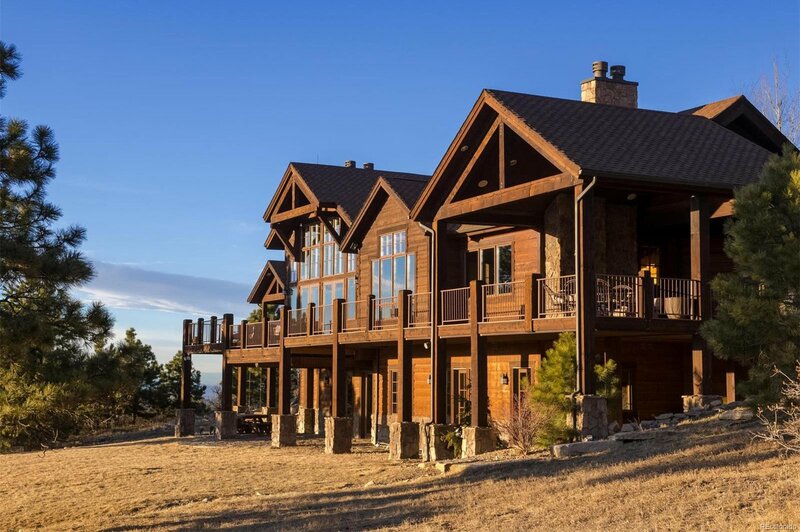 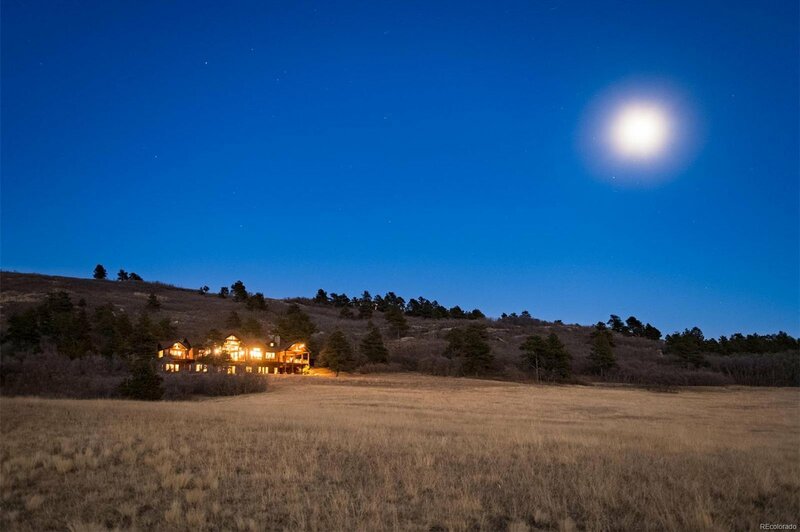 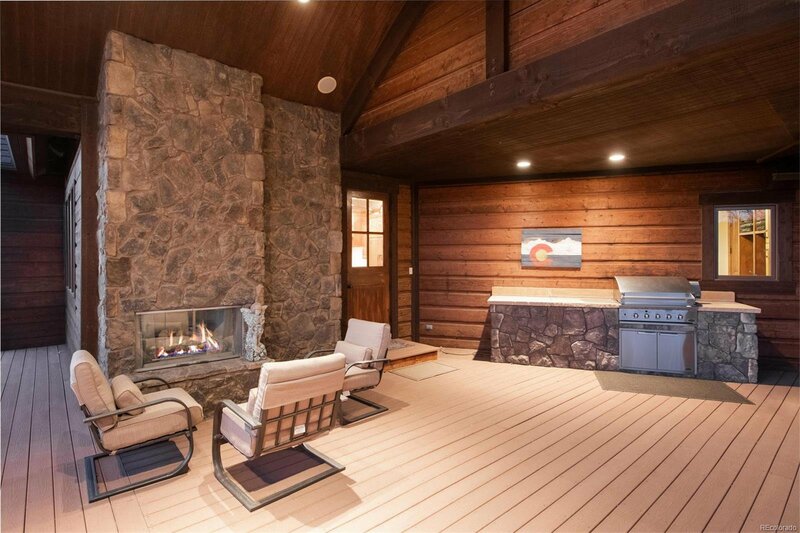 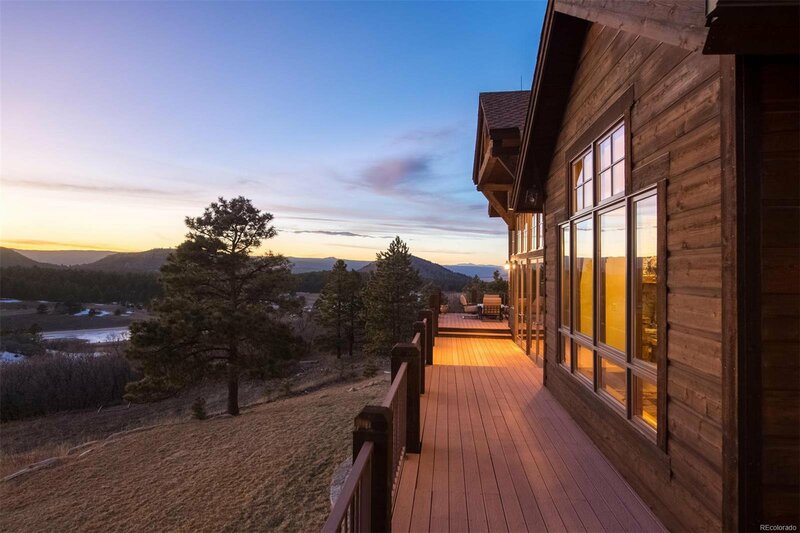 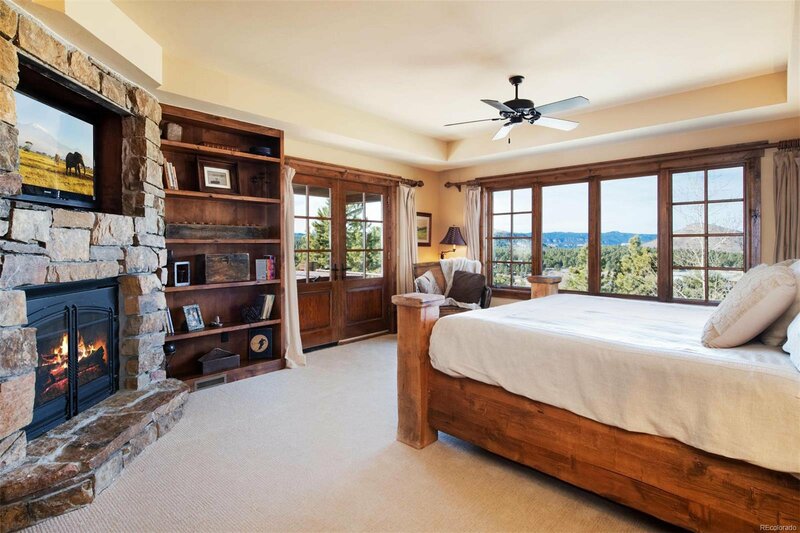 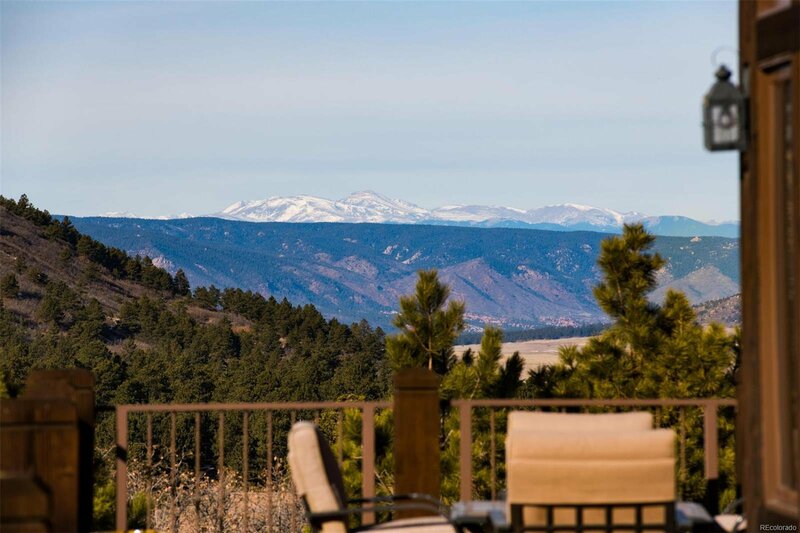 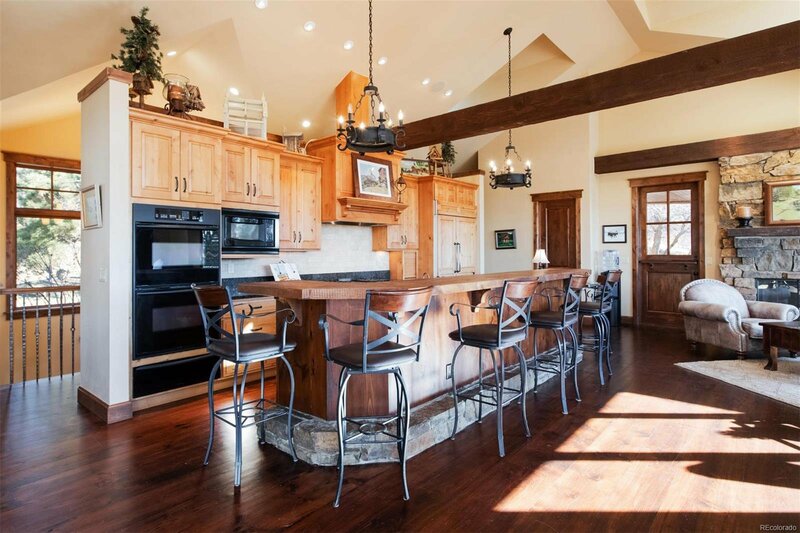 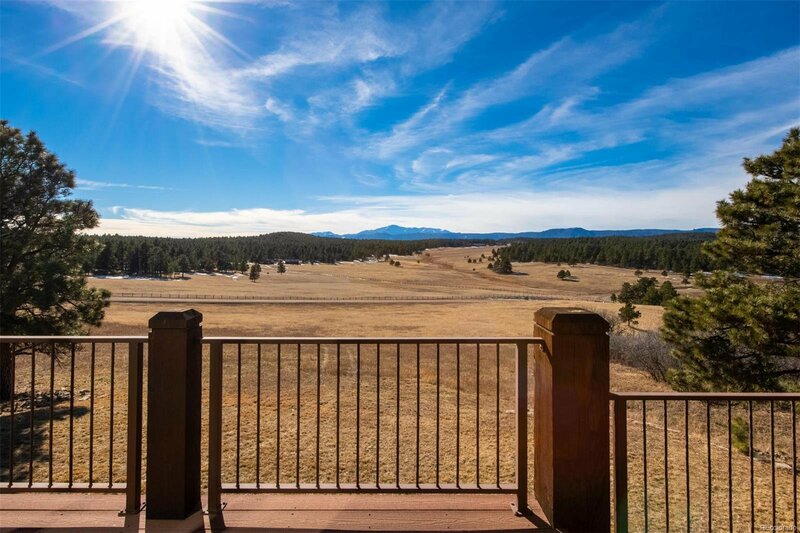 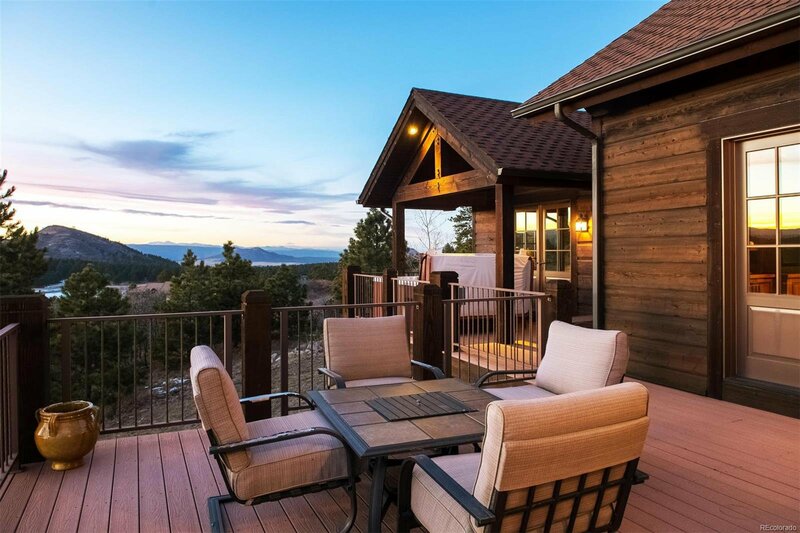 This property transcends the ordinary to offer you an extraordinary Colorado lifestyle. 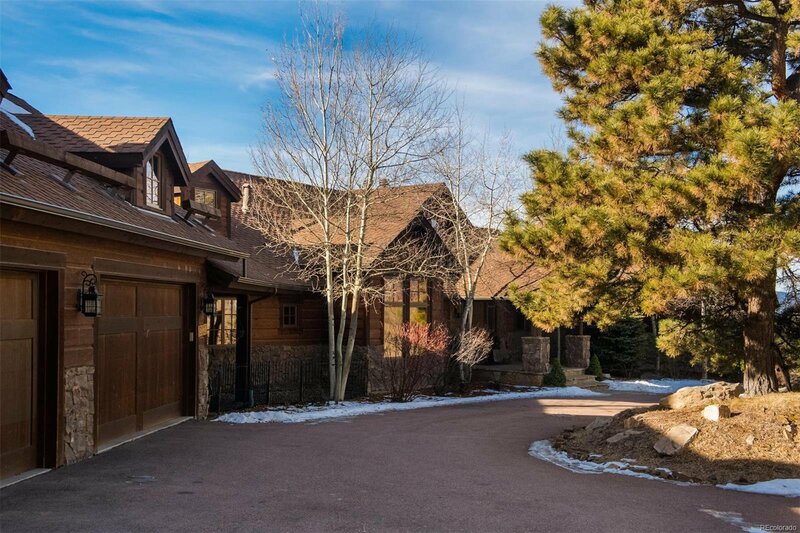 1,000 s/f floored attic over the garage. 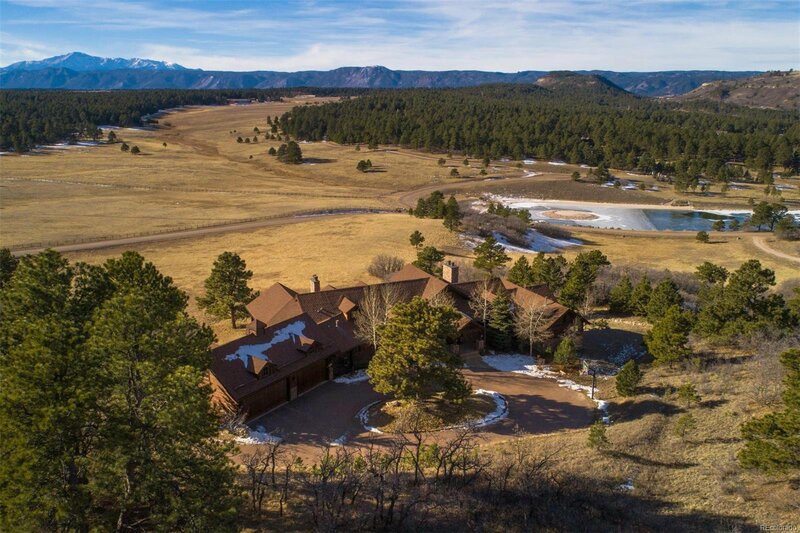 20 minutes from Colorado Springs and 40 minutes to DTC. 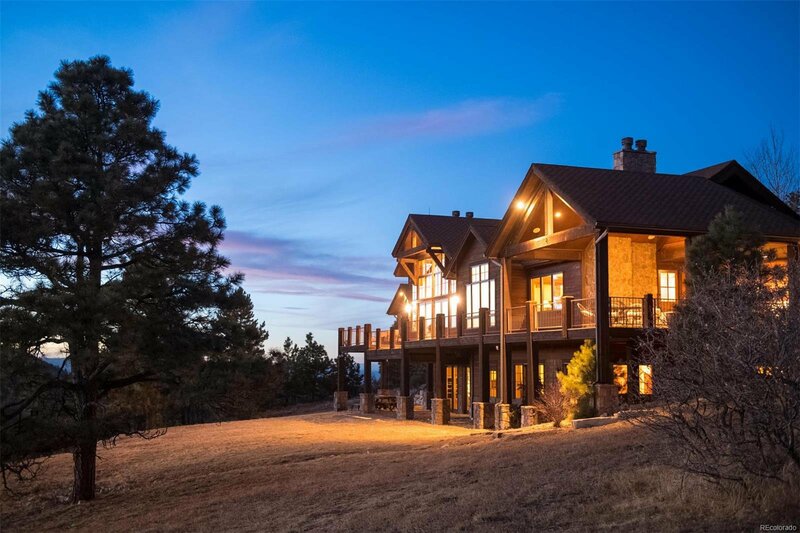 Don't miss the above video!